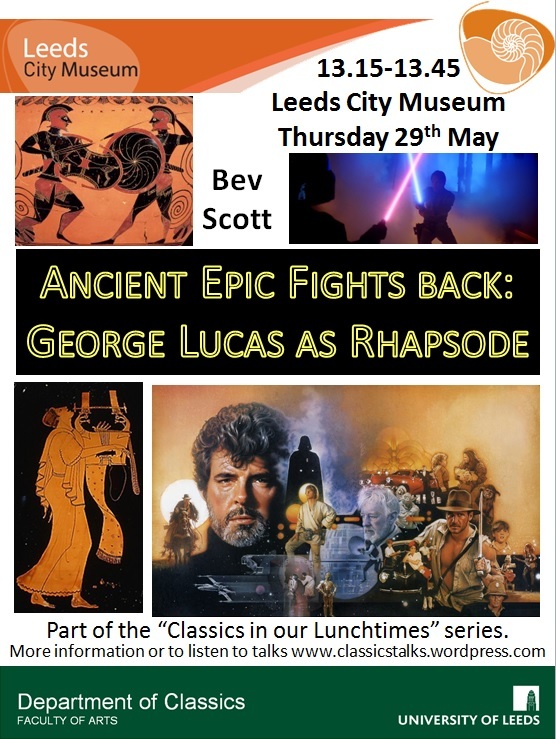 Bev Scott examines George Lucas’ epic story-telling techniques and relates them to those of the singers of ancient epic poetry. This exploration of the roots of story-telling on a grand scale and their application in a modern context will illuminate our unconscious expectations about how stories are told and what makes a sci-fi film into an epic. The precise room will be confirmed on the day, look out for the posters or ask at the front door.